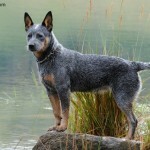 The Australian Cattle Dog was discovered in the 19th century in Australia. These dogs were able to endure severe working conditions and hence cattle owners preferred them. 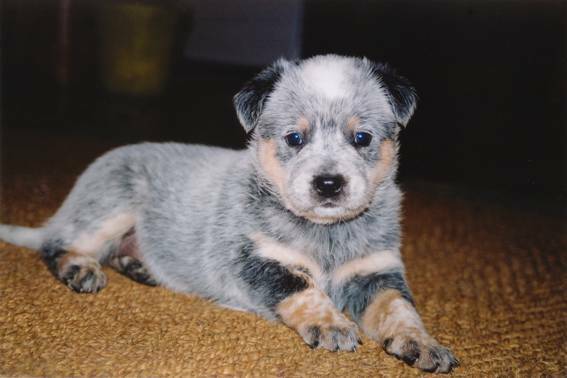 Earlier, the Australian Cattle Dog was called as the Australian heeler. 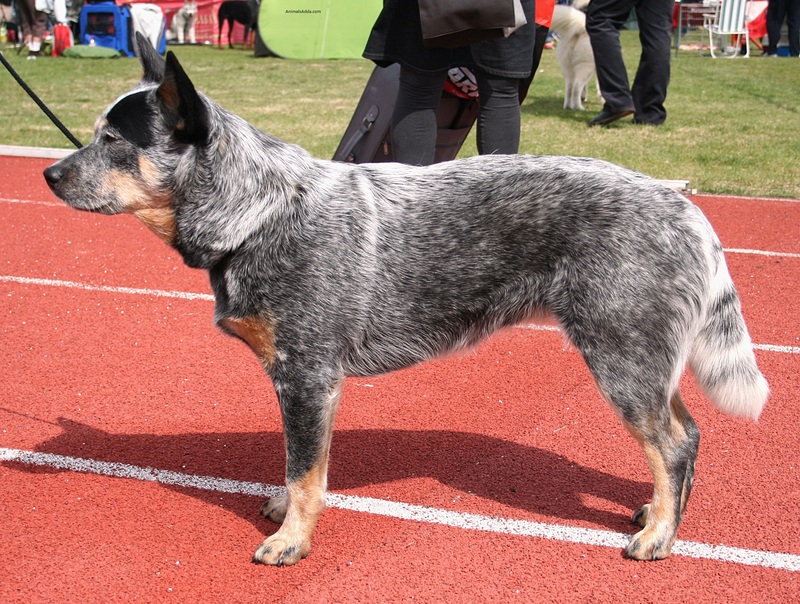 In 1980, the Australian Cattle Dog was registered with the American Kennel Club (AKC). These dogs were mainly used to guide cattle through the terrain that are located in New South Wales. If the cattle used to go astray, then they used to bring them back by nipping them at their heels. These dogs were good stunt dogs and initially were used in shows throughout Australia during the 1940s. Their ability to perform stunts is because they are very highly energetic dogs. 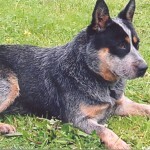 The Australian Cattle Dog was known as the Queensland Heelers. 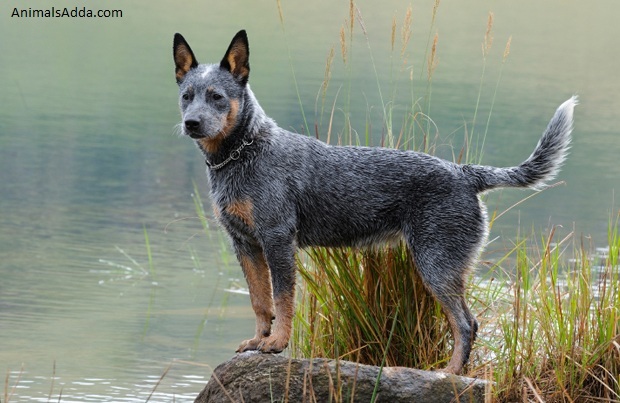 Today, the name is associated with the Australian Cattle Dog. When you train them to perform tricks that are challenging and interesting, then they like doing it. Initially the Australian Cattle Dog was used to guide the cattle, but today you can find them in many homes in Australia to look after children. They like to be loved and cared by their owners. Sometimes they get very possessive about their owners and children. 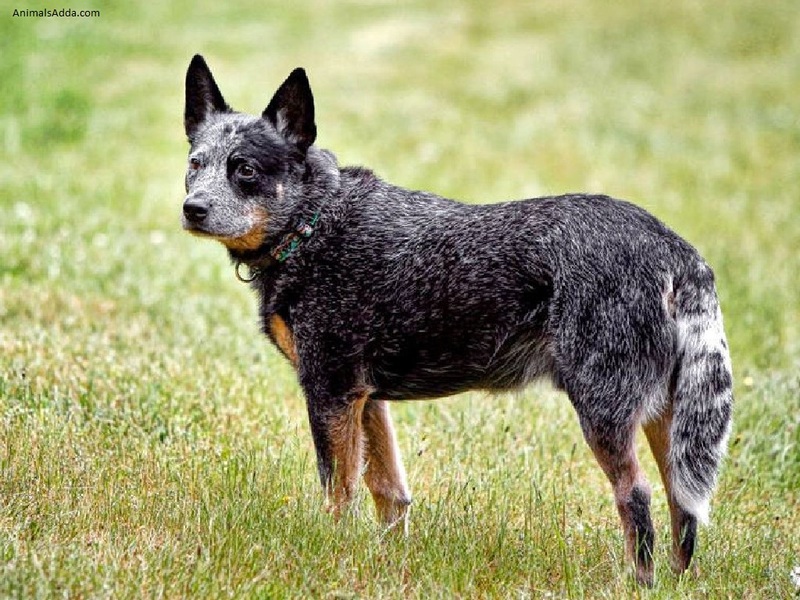 The Australian Cattle Dog is easy to maintain and don’t require too much grooming. 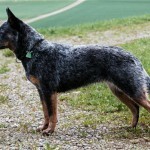 The Australian Cattle Dog has a coating that comes in two colors. 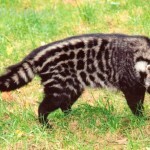 The colors are either brown or black that is distributed on their white fur. 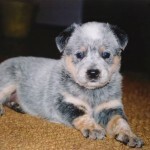 That is the reason they are also called as the blue heeler or red heeler. They are not very huge, but medium in size, which is why, they are easy to maintain. 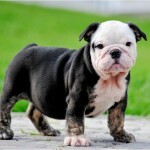 They are very agile dogs and muscular. The Australian Cattle Dog has muscular cheeks and a powerful jaw. Their feet are arched, which gives them the ability to move around fast and their shoulders are strong. The Australian Cattle Dog male dog stands at about 18 inches and the female is about 17 inches. The Australian Cattle Dog must be given food that is freshly prepared. If you own an Australian Cattle Dog, then you might want to avoid using preservatives while preparing their food. You can divide their food into two portions into 2 cups a day. Feeding the dog once a day, will only make them put on weight. It is better to give them food twice a day. You will want to know that your Australian Cattle Dog would need food according to their size and age. 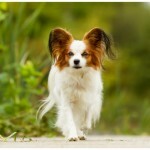 Since these dogs are very active, they need highly energy filling foods. That doesn’t mean you will need to provide it with plenty of food. But, provide it with the right amounts of food. 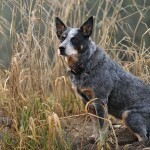 The Australian Cattle Dogs are known to get health problems like poor eyesight sooner. They also become blind, which is why you must ensure that you provide them with fresh foods. Their life span is about 14 years. 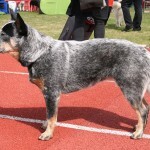 The Australian Cattle Dog also competes in many events and can be used as personal help. They weigh about 25 kilograms when in good health. 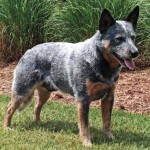 There are mainly two breeds of the Australian Cattle Dog. They are blue and red. Though, chocolate and cream colors dogs are also present. 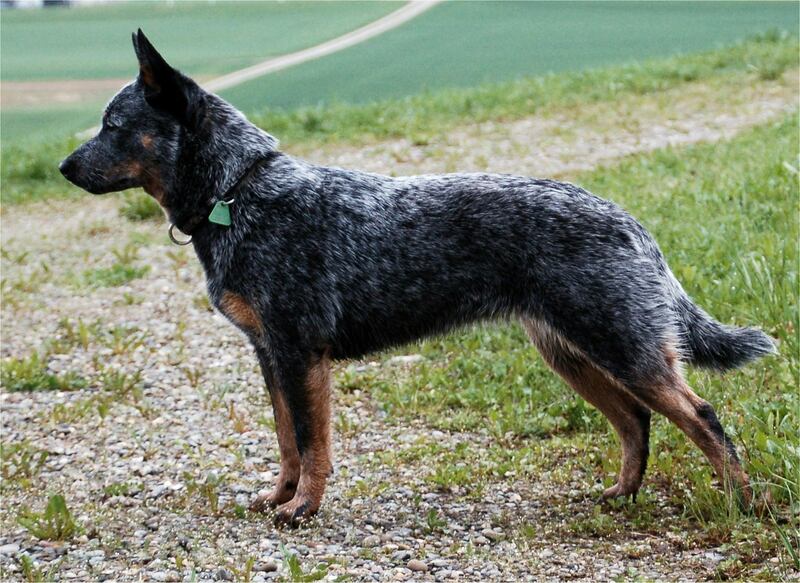 Red color Australian Cattle Dogs come with red color that is evenly distributed on their body. Blue Australian Cattle Dogs come with blue color that is spread on their body. Though, when they are born, their body color is white. As they grow, the colors start to appear on their body. The Australian Cattle Dog main predator would be wolves and other wild animals. Since they help their owner graze cattle in their farmlands, the wild animals that enter into their fields or farmlands are usually chased by these dogs. 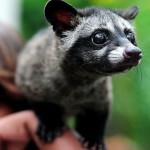 They are very good watch dogs and with their keen sense of smell are able to keep intruders out of their owner’s farm. 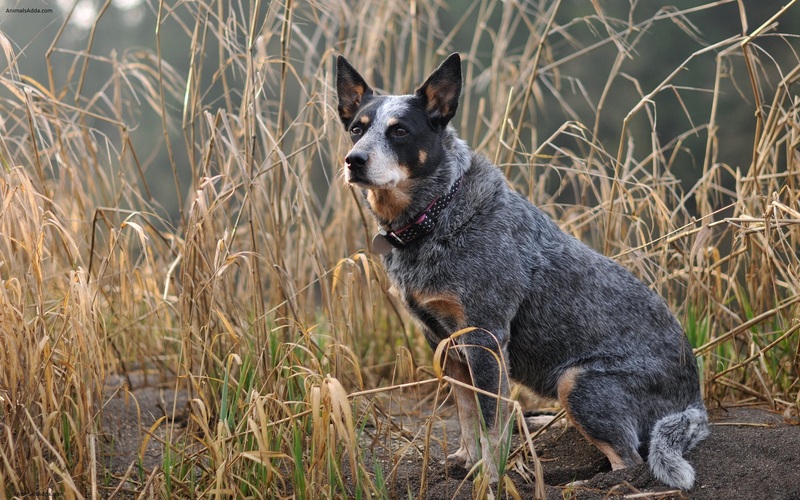 The Australian Cattle Dog likes to roam about in large areas of land. They are extremely intelligent dogs and are highly active. You would be delighted to know that the Australian Cattle Dog has been ranked by Stanley Coren’s The Intelligence of Dogs as 10th. Once they have provided training, the Australian Cattle Dog obeys the commands of the owner. They don’t like to be in a congested area for a long time. 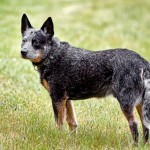 If you have decided to purchase an Australian Cattle Dog, then you might want to move into a large area of land. They are affectionate and playful with their owners. In the presence of strangers, they become little reserved. The Australian Cattle Dogs are very protective about their owners and can protect them without even being told. The Australian Cattle Dog has a decent lifespan of more than 15 years. When compared to other dogs, that is a decent lifespan. Many Australian Cattle Dogs are known to be living quite healthy even at 14 years, though they might be slightly blind and short of hearing. 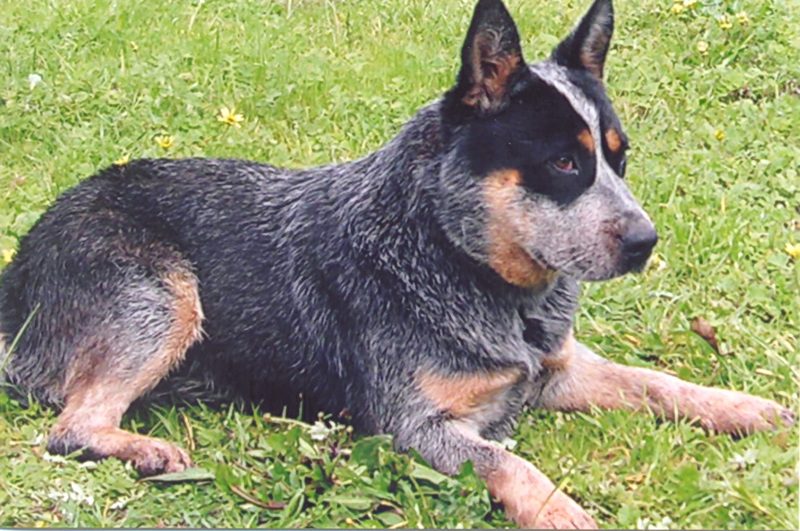 The highest rate of Progressive Rod/Cone Degeneration (PRCD) occurs in the Australian Cattle Dog. Did you know that this Dog is the combination of Dalmatian, Bull Terrier, Smooth Haired Scotch Merle Collies, Blue Italian Grey hound, Australian Kelpie and the Rough Haired Scotch Collies? This makes the Australian Cattle Dog a unique breed of dog that is extremely hard working and possessive about its owner. The Australian Cattle Dog likes to reside in large areas. They like taking long walks in the open field and farms. They are good watch dogs with a keen sense of smell. They were mainly used for guiding cattle on long distances. Those of you, planning to buy the Australian Cattle Dog should ensure that they have large areas of land. These Dogs are active dogs. They don’t like sitting idle in one place. They like to perform behaviors that are natural in dogs like chewing, barking, defending territory, digging, chasing, and nipping heels. Training is very important for the Australian Cattle Dog. When the dog has been properly trained, they respond to it well.